Time for another “Changing Seasons” post. If you don’t know this challenge, you can read more about it at the bottom of this post or in the introduction post. Those of you who follow the news and such, are probably aware that it’s March by now. This means brighter & warmer days here in this part of the world. 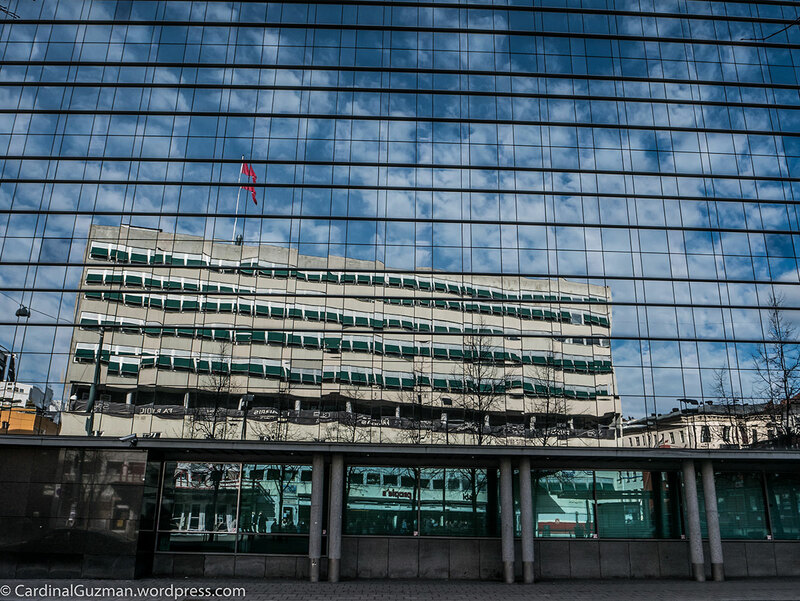 I haven’t taken a lot of photos in March – I’m still in this kind of hibernating winter mode, but I did manage to get enough photos for a gallery. No exceptional photos, but acceptable results from a photographer that’s been busy hibernating. 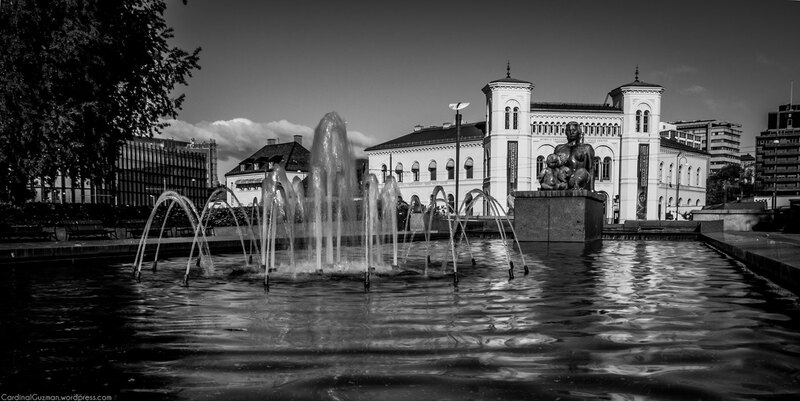 This fountain is located on the sea-side of Oslo’s City Hall. The building in the background is Nobel Peace Center. My entry for Leanne Cole’s “Monochrome Madness” challenge that’ll be online in approximately 6 hours from now. Between the 7th of September 1978 and the 9th of May 1989, skateboarding was totally banned in Norway. At that time, Norway was the only country in the world where it was forbidden to sell, buy or ride on skateboards. Today, a popular place to skateboard is outside Oslo City Hall, where these photos were taken. I used to skateboard in my early teens, but gradually replaced it with playing in a band and eventually downhill biking (which gives you more of an adrenaline rush). 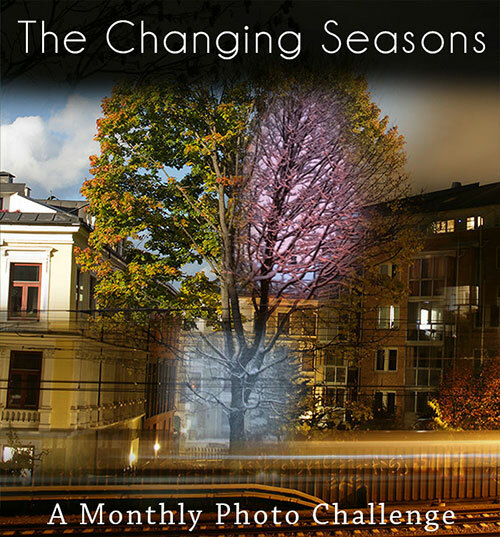 the photos is the gallery were shot in March, while I was shooting for the monthly challenge: «The Changing Seasons». Today, when I’m posting this, it’s Saturday morning and I’m just about to head downtown to hopefully capture some shots for the April part of the challenge.